There’s a new ride-sharing app in town that actually lives up to its name. People in the U.S. can now download Carpooling, a mobile app that connects car owners going on trips with passengers looking for a ride. The free app, available in the Apple and Google Play stores, lets car owners post open seats for rides with a particular starting point and destination. Passengers can search for and book a seat within the app. 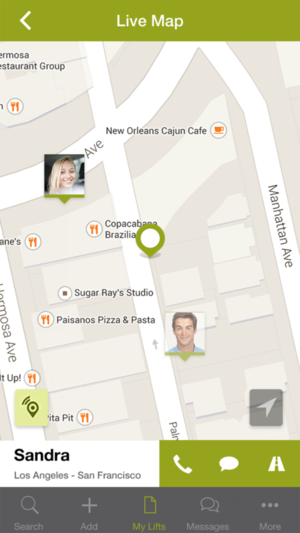 Carpooling is a new app that lets you look for seats in a stranger's ride. So-called car-sharing apps like UberX and Lyft work more like taxi services, with drivers getting paid to take riders where they want to go. Carpooling matches up riders with trips that the driver is making anyway. The fee that the rider pays, which is flexible, is meant to offset the driver’s costs for the trip. The company takes a 19 percent cut. Carpooling is different because it’s a non-commercial ride, said CEO Markus Barnikel. “That’s a distinctive difference from an on-demand service,” he said. The service is also better suited to long trips than the taxi-like services are. Known as Carpooling.com in Munich, Germany, where it is based, the company has a strong presence throughout Europe with about 6 million registered users, moving 1.4 million people each month, the company says. Its major competitors include Paris-based BlaBlaCar and Cork, Ireland-based Carma. It had planned to launch in the U.S. in 2012 but held off so the company could learn more about the U.S. market and build up its engineering chops. Engineers were hired from companies including eBay, Yahoo, Etsy and Amazon. Now that it’s in the U.S., it’s got competition on all sides. 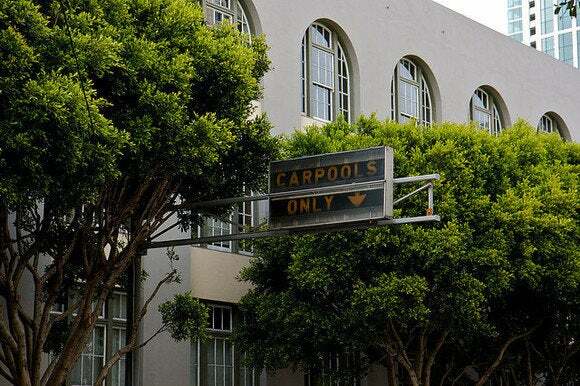 In addition to the well-known on-demand apps, there’s San Francisco-based carpooling service Zimride. In a sense, Carpooling is a hitchhiking app, so its biggest challenge might be attracting people to use it for long rides with strangers. In Europe, the average ride taken with the app is about 100 miles, the company says. However, drivers and riders can rate each other and create profiles with the service. For riders, getting to the pick-up spot can also be a problem. But the company is hoping to solve that through a new integration with Uber, which lets users hail an Uber ride from within the Carpooling app. Guess that makes Carpooling and Uber frenemies.